Whether you want to run the company, launch a new career, or earn the degree that will get you a promotion, St. Ambrose University's MBA program can prepare you to be an innovative business leader who motivates and inspires others and surpasses all professional goals. To complement the strong foundation of upper-level business management courses, you get to choose a concentration: Leadership (seated classes only), International Management, Human Resource Management, Marketing Management, or General Business. This degree also may be completed 100% online. Our graduates work at Deere & Company, Alliant Energy, MCI, Cargill, UPS, and many others. Bring your ambition to St. Ambrose University, and we'll provide a more personal learning experience to help you succeed. 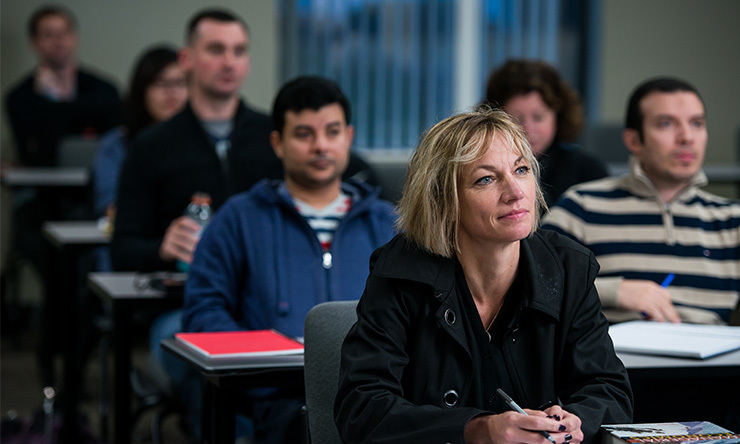 Our attentive MBA faculty integrate current trends and real-world best practices. You gain leadership, project, and planning skills to help you leverage your strengths and broaden your horizons. The St. Ambrose H.L. McLaughlin MBA program is nationally accredited by the Association of Collegiate Business Schools and Programs (ACBSP). 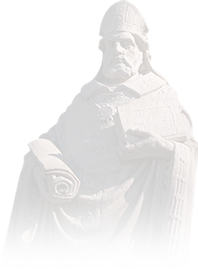 St. Ambrose University is accredited by the Higher Learning Commission. Unlike other business accreditations, the ACBSP is a mark of teaching excellence and academic quality which aligns with St. Ambrose University's mission, vision, values, and academic approach. What can you tell me about the success of the program? Our Master of Business Administration program was launched in 1977, and it was the first College of Business graduate program offered at St. Ambrose University. In 1984, the program was officially named the H.L. McLaughlin MBA program after a prominent area businessman. Many business and management practices have changed in the past 40 years, and our program continues to evolve to meet the needs of business professionals. 100% reported the MBA program met or exceeded their expectations. 9 out of 10 ranked leadership skill development among the program's greatest strengths. 94% would choose the SAU MBA again. 9 out of 10 graduates said classwork was relevant and applicable to their job and career. 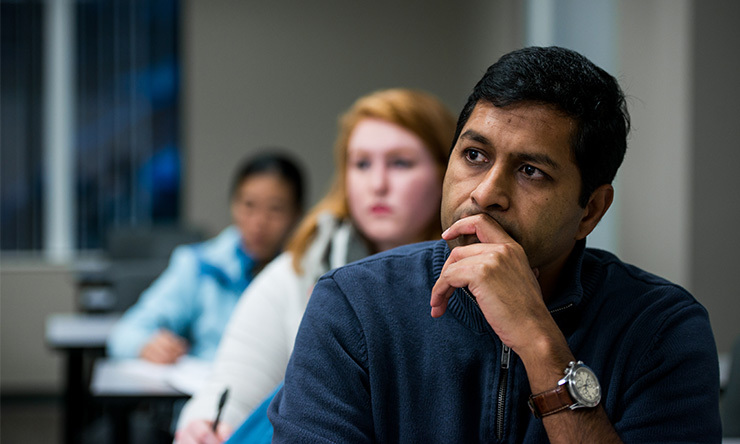 We are proud to offer an MBA program taught by PhDs with deep experience in their specialty. They are academics and business professionals. The St. Ambrose University MBA program requires students to choose a concentration area, which helps you become an expert in your current or future career field. You can choose from Leadership, International Management, Human Resource Management, Marketing Management, and General Business. Our MBA professors teach from their decades of experience in the working world and pass their knowledge on to you. Faculty are experts from all sectors of business and management ranging from international and communication to workforce and organizational behavior. As a university grounded in the liberal arts, discovery and new ways of thinking are encouraged which will help transform you into a capable and competent manager. You'll not only be able to solve current problems but also think nimbly as new problems arise. Gayle Roberts '91 MBA is President of Stanley Consultants, a Muscatine, Iowa-based firm that provides engineering services across the globe. Joe Bailey '12, '14 MBA, is the Senior Learning Consultant for Cerner Corporation in Kansas City, Mo. Eva Dondanville '11 MBA, is a Realtor with Ruhl&Ruhl Realtors in Dubuque, Iowa. Joe Conklin '12 MBA is the Athletic Director for Alleman High School, Davenport. Collin Grady '16 MBA is a Field Supervisor for Northwest Mechanical, Davenport. 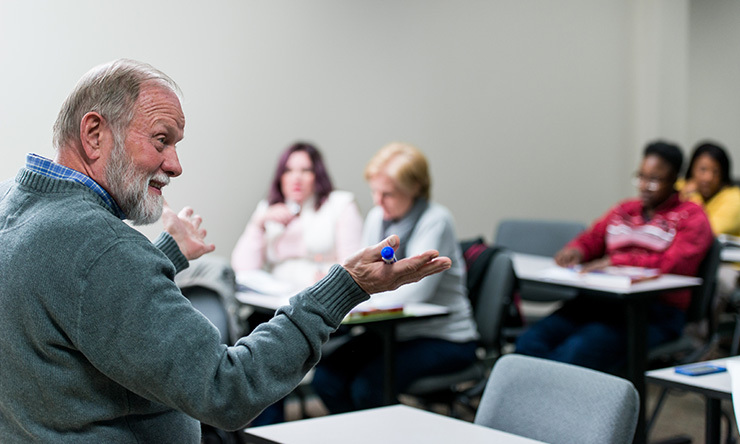 We are the only university in Iowa offering a three-year Master of Social Work-Master of Business Administration program (both programs are accredited). It pairs management together with empowerment so that you are uniquely poised to explore and tackle social issues using ethical business sense. It's a great degree for students who want to be leaders in the field of social work and non-profits. Graduates are able to move agencies and corporations forward in an ever-changing market. Here is what our first MSW-MBA graduate says about the benefits of her dual degree. Your master's degree is an investment in you, your career, and your future. Tuition for the 2019-20 academic year is $675/credit hour for seated and online classes. There are some fees, too (see below). While the cost can seem daunting, the MBA program offers research assistantships that can defray some of the expense. Many employers offer tuition reimbursement, and if so, you may qualify for deferred payment. MBA students may be eligible for federal and state student aid, or low-interest federal loans. Our Financial Aid office can provide more information. And if you are a veteran, contact Natalie Woodhurst. She is an expert in military benefits, and her job is to make sure veterans get the benefits for which they are eligible. St. Ambrose University sets rates for tuition and fees each fall. Tuition, fees, room and board are due each semester before students attend class, unless payment arrangements are made with the Student Account Services Office. All students attending St. Ambrose University will be assessed a technology fee based upon courseload. Some courses carry additional fees. The basic 36-credit MBA program is comprised of 12 courses. All courses are three credit hours. Additionally, students earn one of five specialized MBA concentrations (see below) that complement the foundation. Each concentration requires four elective courses. Program options include a part-time or 14-15 month schedule. Students are required to complete a concentration comprised of four courses. Concentrations provide an even greater focus to your studies and add relevance to your degree. Concentrations in Leadership, International Management, Human Resource Management, and Marketing Management, and General Business have been developed for students who wish to focus their studies in a specific discipline. *Only MBA 691 is taught online; the other five courses are seated-only. Choose a combination of any four courses from the other concentrations. If you apply at the beginning of a Spring or Fall term, you can complete the degree in as few as 14 months by taking two courses per 8-week session. Before starting your application, make sure you've got everything prepared. Then, take the next step toward earning your master's degree and apply to the Master of Business Administration program. Mark researched the MBA program and consulted with one of his undergraduate professors at St. Ambrose. He was told, "No matter what you do, the MBA will make you better. It will open a door you can’t even see." He enrolled. Are you ready to take the next step? Become an Ambrosian today!